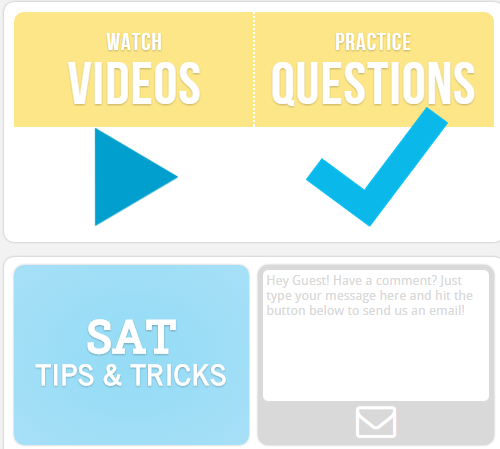 PrepFactory is a site that offers students free SAT + ACT instructional videos and practice questions (kind of like Duolingo meets Khan Academy, specifically for test prep). Their mission is to "bring quality test prep to kids who can't afford shelling out hundreds / thousands of dollars for the (often mediocre) instruction that the Kaplans and Princeton Reviews of the world provide". It's easy to use and offers tips for taking the tests as well as practice questions and videos. There are multiple tutorials and questions and students earn badges as they work through the site. Beyond test prep, this also helps students develop thinking skills that can help them anywhere.